Vanguard instructors are the industry’s foremost cybersecurity experts, with over 25 years of security expertise. Our instructors teach the latest security techniques, best practices and practical approaches to achieve the best enterprise security. As Professional Services Consultants, our instructors spend the majority of their time in the field, working on-site with customers implementing real-world security. Phil Emrich has nearly 40 years of experience in the information technology field. Phil spent 31 years with IBM where he held a number of crucial roles and responsibilities that included technical consulting to customers, technical product support to sales engineers and guidance to IBM´s software development laboratories. Throughout his remarkable career Phil garnered expertise that spans IBM z/OS Security Server (RACF), security for multiple versions of the IBM Customer Information Control System (CICS®), IBM´s cross-platform messaging software, WebSphere® MQ (formerly MQSeries), IBM Information Management System (IMS™) and IBM DB/2 relational database software. Phil is a member of the IBM Gold Team of Independent Consultants and holds certifications in IBM smA2Rt CA ACF2TM to RACF Migration Tools, CATop Secret® (TSS) to RACF Migration Tools and has been certified to instruct CICS, RACF and DB2 courses for IBM. Additionally, he is also an integral member of Vanguard´s Professional Service team where he consults with clients on all facets of z/OS and RACF security. As a premier subject matter expert Phil is an active educator and speaker in the U.S., UK and Europe. His engagements include SHARE, GSE, numerous IBM sponsored conferences and Vanguard’s own annual Security Conference for 25 years. Phil holds a Bachelors of Science in Mathematics from Purdue University. Peter Roberts joined Vanguard’s Professional Services team in January of 2012 and has more than 30 years of experience in Information Technology and Systems Programming. 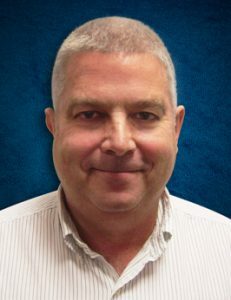 His extensive knowledge-base and expertise allow Peter to assist clients with ACF2/TSS migrations to RACF, z/OS and RACF assessments, RACF remediation projects, RACF training, and Vanguard software implementations. Prior to joining Vanguard, Peter spent 18 years with IBM Global Services where he held a number of roles and responsibilities including Systems Programming, Security Administration, Business Controls (Auditing) and performed security related consulting services including ACF2 and RACF Security reviews, Security remediation’s and ACF2 / Top Secret to RACF security conversions. Due to his varied background, Peter has extensive experience across multiple verticals including government, retail, banking, distribution, manufacturing, utilities, and finance. Peter serves a key role as part of the Vanguard Professional Services team providing RACF security assessments and remediation, ACF2 and Top Secret migration assessments and migration services. In addition, Peter provides training to customers attending Vanguard’s annual security conference. Dustin Hayes joined Vanguard’s Professional Services team in Oct 2013. Dustin first started his professional career managing UNIX systems for the United States Air Force. Most recently before joining Vanguard’s Professional Services team, Dustin was the architect responsible for the enterprise solution to meet the PCI-DSS Level 1 card processor compliance requirements, including the design and implementation of the infrastructure team to meet a mix-environment solution. Additionally he conducted all of the required penetration testing and vulnerability assessment processes. Currently he has expanded his knowledge to include; z/OS, Solaris, Linux, Microsoft, VMware, PBX/VoIP Phone Systems, Cisco, and Networking while continuing to focus on Security and GRC related issues. This specialized background has resulted in experience with multiple different regulatory and compliance projects. He has over 10 years’ experience maintaining online transaction-based data centers in multiple states and countries. John Hilman brought over 25 years of information systems experience when he joined Vanguard’s Professional Services team in 2005. Leveraging his technical background and expertise, John aids clients with security assessments, remediation projects, DB2 internal security migration and training for security administrators. Prior to joining Vanguard, John spent 20 years with IBM, the last five as a Certified Technical Trainer for RACF security. Throughout his extensive career, he has held numerous IT positions in Computer Operations, Systems Programming, Security Audit, and Security Administration. After his tenure at IBM, John accepted the role of Training Director at EKC, Inc. where he was responsible for training security administrators and auditors on using the CA-ACF2 and RACF security subsystems. John´s expertise has made him a highly sought after speaker and educator. His engagements include CA World, IBM Secure World and Vanguard´s own Security Conferences, where he has been awarded the Top Gun Award three times. Vanguard´s prestigious Top Gun Award is reserved for the instructor that receives the highest rating from students following the conference. With more than 40 years of experience in Information Technology and Systems Programming, Jim McNeill leverages his extensive knowledge-base and expertise to assist with ACF2/TSS migrations to RACF, DB2 internal security to RACF, z/OS and RACF assessments, RACF remediation projects, RACF basic and advanced training along with Vanguard security software implementations. Before joining Vanguard´s elite Professional Services team, Jim worked in the company’s research and development labs as Director of Research & Development where he was responsible for the first three releases of Vanguard’s flagship software – Vanguard Administrator. In addition to these accomplishments, Jim served as the Lead Architect and Team Leader for both the Advisor and Analyzer products. Jim’s notable accomplishments include performing multiple large ACF2 and Top Secret to RACF migrations for Fortune 500 companies and leveraging his expertise in assembler language to code User Exits and convert ACF2 calls to RACROUTE calls for RACF. His certifications include IBM ACF2/Top Secret to RACF Migration Engineer, IBM RACF Instructor and Vanguard Product Instructor. Jim is an active educator and speaker on information security. His engagements have included GUIDE, SHARE and Vanguard Security & Compliance. Doug Behrends joined the Vanguard Professional Services team with over 30 years of information systems experience in 2003. Doug is currently focusing on remediation work to assist Fortune 500 companies in improving their security environment. Major activities related to this have included evaluating and implementing role-based security access structures and converting production batch processes from a single user ID to unique user IDs by line-of-business. Prior to joining Vanguard, he performed multiple IT functions such as Operations Manager, Office Systems, Application and Systems programming, and DB Management. His breadth of knowledge spans across numerous verticals including manufacturing, insurance and financial services where his expertise lent itself to MVS system installation and maintenance, productivity improvement/automation, security assessment and product design. Since 1997 Doug has focused his career solely on information security for z/OS and RACF. Before joining Vanguard as a full-time member of the Professional Services team, he contributed as a Beta tester for the Vanguard product suite. Today, in addition to his security activities, he continues to provide insight into streamlining and automating processes.